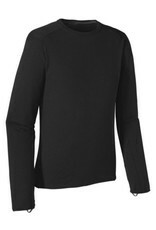 Patagonia's Merino Thermal Weight crew is a warm baselayer. It's wonderfully soft, has a great warmth-to-weight ratio, breathes and resists odor, stretches and regulates body temperature across a wide range of conditions. This merino wool is responsibly sourced from the grasslands of Patagonia. It is slow washed for softness and shrink resistance without the use of chlorine, then blended with Capilene recycled polyester for increased durability, dry times and moisture management. 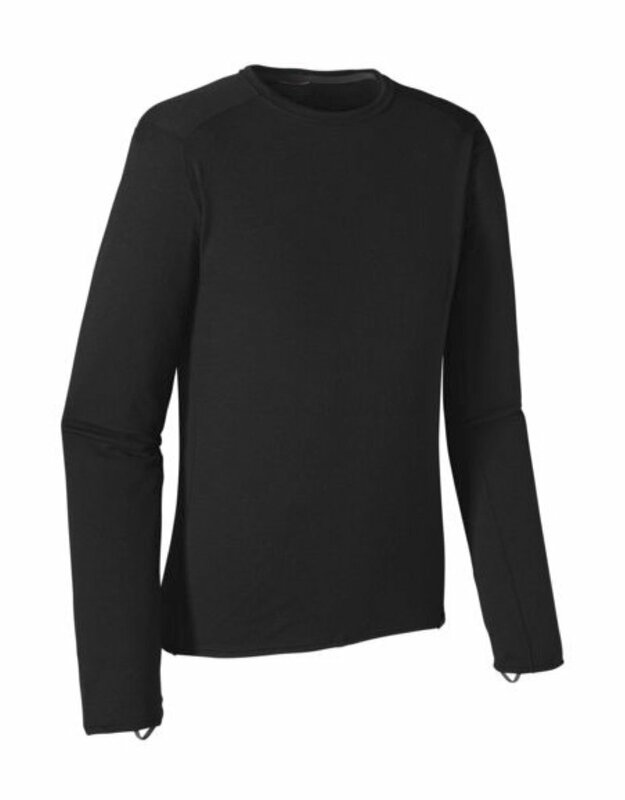 Features include a self-fabric collar with internal neck tape for chafe-free comfort, full underarm gussets for unhindered shoulder mobility, elastic thumb loops for secure hand coverage, low-bulk merrow seams to minimize chafing, offset shoulder and side seams to lie smoothly beneath pack straps, and a drop tail for additional coverage. Machine wash cold; machine dry at low temperatures. Fabric is bluesign approved.